As first time pilgrims on the camino we really didn't have a clue where to begin planning this trip. Saw an add for Camino Ways.com and checked them out. Sure glad we did! They took care of hotels, bike rental, luggage transfer, maps and info. Each leg of the journey was planned out so that we could do it comfortably in a day. The trip itself was a real adventure which we will never forget. If you're thinking of doing it make sure you're in reasonably good shape! "Camino Ways set up the whole biking trip, from Leon to Santiago, some 240 miles. We had great bicycles for our 4 cyclists (my brother, sister, wife and myself). We had great lodging each nite with comfortable beds in the best locations in each stay over town at 4 star hotels that Camino had picked for us in advance. In the morning Camino Ways would pick up our luggage and carry to the next town. The food was great at every stop as was the plentiful Rioja. This was a great cycling vacation that Camino Ways made possible. 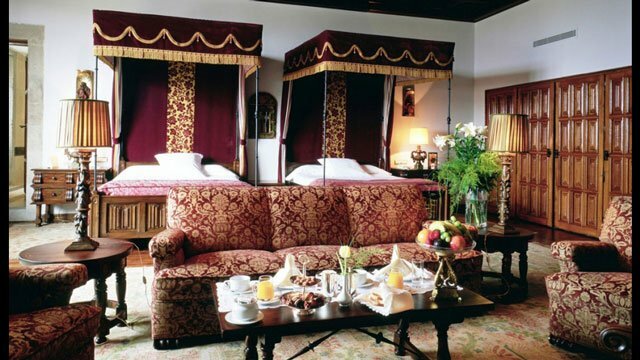 And the cost was very reasonable for such great service. 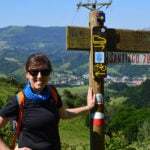 We are planning another section of the Camino next year and will definitely go with Camino Ways." "Camino Ways did an awesome job setting up our cycling tour from Ponferrada to Santiago, Spain! They were very patient with our numerous questions and made sure we were all set up properly. 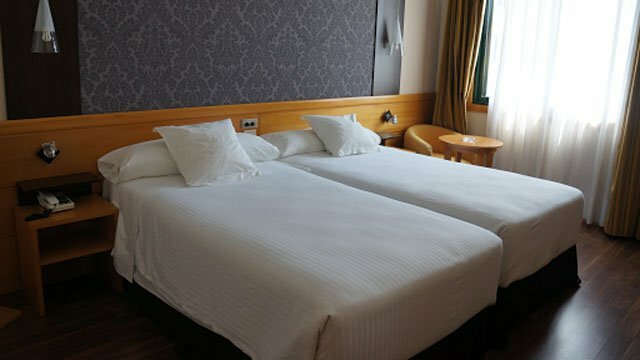 The hotels they selected were excellent and so were the suggested legs of the tour. The mountain bikes we got were also excellent quality and the luggage transfer made it very convenient. It was a journey of a lifetime!" Cycle the Camino and experience the magic of the classic Camino de Santiago route on two wheels. 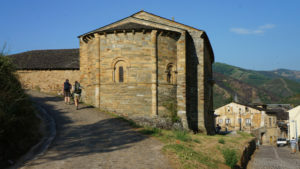 On this tour, you will be cycling the Camino Francés from the lively city of Ponferrada, across the spectacular mountains of O Cebreiro and into Santiago de Compostela. 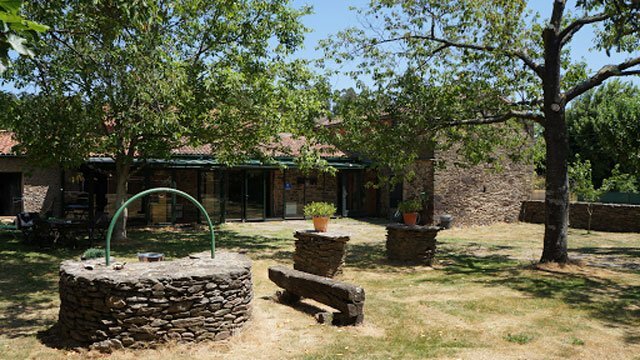 You will ride the last 200kms of the Camino Francés and experience some of the route’s most important cultural, natural and historic highlights. 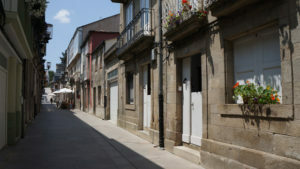 You will meet fellow Camino cyclists as you will cycle from the lush El Bierzo region and the mountains of O Cebreiro. 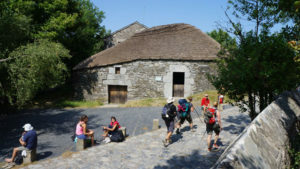 From picturesque O Cebreiro, the Camino takes bicigrinos along the forests and rolling green hills of Galicia; all the way to magnificent Santiago de Compostela. 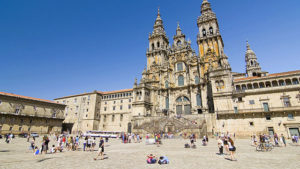 Don’t forget to get your Compostela certificate when you reach Santiago! Explore more over a short period of time. 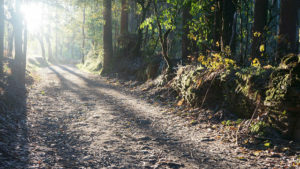 With 5 star reviews from our clients this is a great way to discover the Camino trails. *We recommend cycling the Camino only if you have some cycling experience and essential bike maintenance knowledge. Cycling the Camino de Santiago – How it Works. We can organise guided Camino cycling tours for private groups, talk to our team for more details. Arriving in Santiago on Friday 20th we had covered approx 330km in 6 days – all the accommodation that had been arranged was of a high standard and all the staff in every place we stayed could not have been nicer. A fantastic trip had by all – helped by the fact the sun was shining down on us all week. 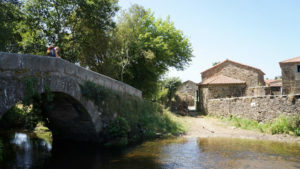 Easy Option: Travel along a mix of well marked country road and forest tracks from the quite village of Pedrouzo -A Rua to the village of Lavacolla (the traditional last stop before Santiago, where pilgrims in olden days would bathe their feet).